WALLINGFORD — Community members all around the state are coming together to help each other clean up from Tuesday’s storm damage. On Sunday Wallingford community members came out to help clean up a historic site. “The Cheshire, Wallingford Hamden area got especially hard hit as you know they designated some as tornado (damage),” Cheshire resident Richard Straub said. The Silver Museum sits on South main street. I was built by Franklin Johnson in 1866, making it one of the oldest in town. Jerry Farrell “Just devastated luckily the house was still fine but the backyard which we use a lot for events and historic demonstrations was just filled with disheveled trees,” Wallingford Preservation Trust President Jerry Farrell said. Farrell put out the call for help to clean up the debris and more than a dozen people came ready to lend a hand. “We live in this town and we love this town so many areas, just even our town alone let alone the whole state was just devastated, we got really lucky,” volunteer Marty Mansfield said. Museum board members say luckily the damage to the building was minor but times like this show just how important neighbors helping neighbors can be. An Italian police unit specializing in protecting the country’s cultural heritage on Tuesday presented 37 artworks it had recovered, some of which had been stolen from churches in the aftermath of deadly earthquakes in central Italy. The artworks dated back to between the 16th and 20th centuries and had been taken in 16 separate robberies over the past two decades. The pieces have “inestimable historic, artistic, and religious value”, the Art Squad, as the police unit is known, said in a statement. Among the most important pieces recovered were five altarpieces from two churches in L’Aquila, which were closed due to damage in a deadly 2009 earthquake from which the city is still recovering. Nicola Candido, one of the officers involved in the operation, told the press “we are particularly proud of the recovery of the altarpieces taken from the earthquake-hit zone”. You can see some of the rescued pieces in the video below. L’Aquila’s mayor thanked the police for the recovery and said he hoped the artwork would be returned to the city. Police found the art in villas along the Amalfi Coast, and have charged three people over the thefts. The Carabinieri’s Art Squad dubbed the “blue helmets”, was founded in 1969 to combat art and antiquities crimes, and helps train art police in other countries. In the aftermath of deadly quakes in the central regions of Italy, the officers raced to rescue and restore damaged artworks from churches and other buildings damaged by the tremors. This is not to say all is well: Tens of millions of dollars likely will be needed to repair the damage that was done to the buildings and their grounds, and upgrades and new investments will need to be made to better prepare for future emergencies. The Museum of Contemporary Art of Puerto Rico in San Juan had to “hack big, rectangular vents” into their own gallery walls to create cross-ventilation to fight the high temperatures and humidity until power could be restored. The Institute of Puerto Rican Culture, located in Old San Juan, which oversees the National Gallery, the National Archive and 30 other historic buildings and culturally significant parks, sustained an estimated $1.57 million in damages to its Spanish Colonial headquarters building, with nearly all of the 202 doors, window frames, and shutters from the 1840s, as well as wrought iron railings and brickwork, needing to be repaired. Across all of its properties, the Institute’s total insurance claim could exceed $11 million. 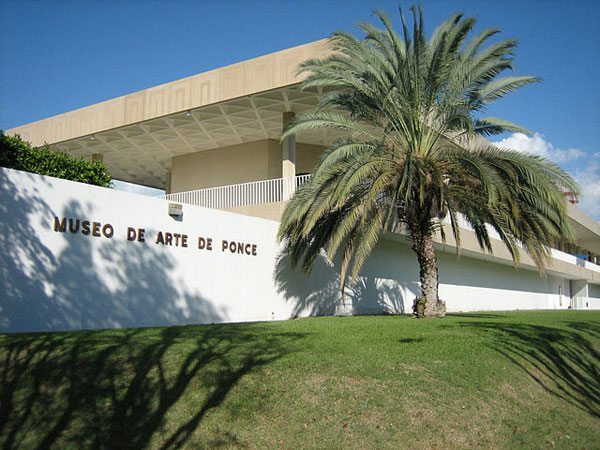 Two art museums affiliated with the University of Puerto Rico were hurt by the storm: Museo Casa Roig 45 minutes south of San Juan, and the Museum of Art on the Mayagüez campus on the island’s west coast. The Museum of Puerto Rican Art had a broad, curving wall that was clad in copper sheets that were “peeled off” by the storm along with some of the plywood backing. The museum’s sculpture garden was particularly hard hit, with about 90 percent of the landscaping destroyed.